I have that MV30 too and checked the OS version and found that is the 1.0, if you want i can make an image file and email it to you. I can try to make a .TD0 file, is ok for you? Then you need to use a 720k disk since the 1.44 diesn’t work well (same as S50) In case you find the latest image file could you also emails to me? Hello again Carlo! I just managed to acquire the Roland MV-30 Version 1 OS. I don’t think it’s the latest, but it works. I was able to find it from Jeff who sent me a file from HxC. I create a .img file and used RawWrite for Windows XP to write the image to a 720kb floppy disk. I test it on the Roland MV-30 and it works great. Thanks again for the offer,but I think this disk should work fine. IF I find the latest version, I’ll definitely forward a copy to you or post it somewhere. This is the free program I used for Windows XP to write the image file to floppy. This file apparently has the Roland MV-30 1.091 image. It works, but when I boot my MV-30 it gives me the exact same message as the file I posted above. My thinking is that version 1 is the same as 1.091. I am not sure how to tell the difference. Until I find more info, it seems version 1.091 is not only the latest version but the only version available for the Roland MV-30. I have an MV-30 also. I can’t remember what version I have. I will send you an image file if it’s a later version. Thanks Peter! I just checked my MV-30. I pressed F1 on power up and the ROM version read 1.03. It then booted with the second OS Disk I posted above and showed V1.091. So it looks like indeed that is the latest OS disk. Works great. Thanks again for the link and info. You can buy the V1.09 disk here for 12$. Hi Peter! Yes, Jeff from HxC pointed that out to me. He sent me a file and that is how I pulled the very first image which I now have posted in my comments above. What exact version that is, I’m not sure but it works great. Thanks!! I’ve been trying to find a copy of the MV-30 service manual. Would you happen to have a copy of it? I’m glad that I did find your post, I also have an Mv30 and mine also came without the OS disk, I manage to get in the mv30 Yahoo group and downloaded all the files and follow all the instructions without any luck, all the files and instructions are made for windows 95/98 PC, it was a miracle that I found a working one, but in the end it didn’t work, the only thing is that I manage to format a 2.2 Mb disk into a 720 so I can work in XP. Is it much to ask if you could do a step by step guide of how to make a bootable disk using xp, with links for the OS and the programs needed?. I very much appreciate any help you could give. Thanks a lot. Can’t seem to see the link for the file for the MV 30 system disc file, did you remove it? It would be a big help if you could re-upload it. please reupload system mv 30???? Hello to everyone here. I am from Portugal and i’m lookig for the System OS disk for free download in the internet without any sucess. Please if anyone could help me and send me the file to my e-mail i will be very gratefull. This is standard procedure if correct. The MV30 is an old school device that requires a boot disk on every startup. You will need to save your settings on either the System disk if space is available or a separate blank disk. Older Roland Devices like the S-50, W30, and S-550 had similar procedures. This is why the startup disk is so vital to the MV30. Hello Jim! 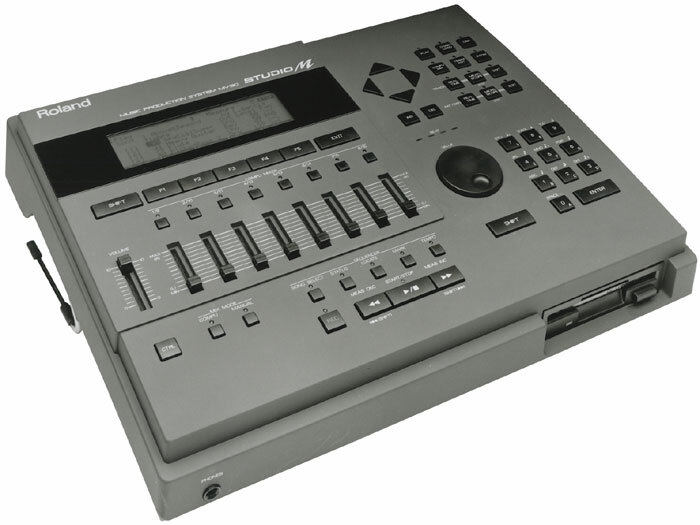 can you please make a new upload for the Roland MV-30 1.091 System Disk image? Your link is gone..Thank you if you can.